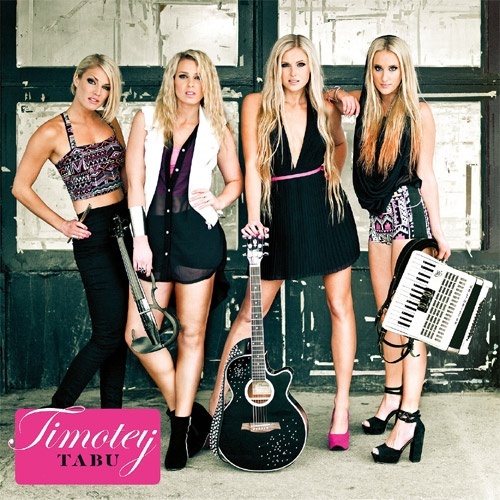 One of this year's schlager-fans goodies - new Timoteij's album "Tabu" has arrived! Ot to be exact will arrive on May 16th. You can listen to samples of the album already now and convince yourself it's gonna be a huge premiere. Comparing with the first album "Tabu" is more mature, modern, dancier and less folk, big schlager-tunes are still there as expected but properly updated for a wonderful girls comeback in 2 years. One of remarkable things about the album is that it includes Melodifestivalen-reject "Högre" previously released by Therése Neaimé in English version as "Lovers Lulluby".